In 1864, a blockade runner ran aground on the coast of North Carolina. For decades, it sat within sight of shore, rusting, until finally disappearing beneath the waves. Now, it’s reappeared — and may prove to be the most significant shipwreck found in our waters in years. 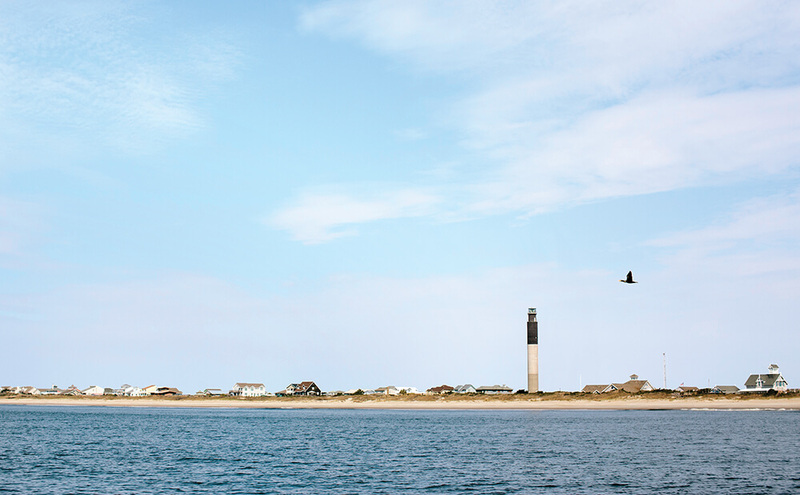 A quarter-mile off Caswell Beach, with the Oak Island Light easily within sight, Billy Ray Morris kicks on his sonar and watches a copper-colored image until the unmistakable shape of a ship appears. “There’s your boat, y’all,” he says, staring as he steers. The wreck, a century and a half old and just 18 feet below the surface, is remarkably intact. Morris found it by following a hunch — but the shallow water is so murky that the vessel is barely visible. Even so, it may prove to be the most significant find of its kind in North Carolina in decades, and although Morris knows what it is and how it got there, he doesn’t know what’s inside. The ship still has plenty of secrets. The dive boat rocks gently as he squeezes into his wetsuit. Then he splashes backward into the greenish-brown water, and, moments later, disappears down into the darkness. Joseph Fry stood at his window in Scotland, singing a French military tune, “Partant pour la Syrie,” a song about a crusader who prays for bravery, and to return from war to the love of a beautiful woman. Fry, a tall, handsome, 37-year-old lieutenant in the Confederate Navy, was waiting to pick up a new ironclad. It was a fast boat — 10 times longer than she was wide — with two masts, two smokestacks, and paddle wheels on both sides. The ship was originally designed to haul mail and passengers between Scotland and Ireland. But in June of 1864, it was sold to Crenshaw & Company, a firm in Wilmington run by two brothers that was buying up a lot of fast, narrow iron steamers. By then, things were looking grim for the Confederacy, which couldn’t make what it needed to keep up the war effort. Gray uniforms were hard to find. Guns, cannons, and ammunition were in short supply. The one thing the South did have a lot of was cotton, which was highly valuable. Even a smaller vessel could bring enough back from a single run along the Carolina coast to pay for the ship, with profit left over. So the Crenshaw brothers struck a deal: They’d buy ships to bring in what the Confederacy needed, and ship out the cotton that everyone else wanted. The company arranged for bales from across the South to be loaded onto trains and sent to the best port the Confederacy had left: Wilmington. That city had a lot of advantages. It was too far inland to be bombarded by the Union Navy. The mouth of the Cape Fear River, 27 miles downstream, was guarded by Confederate cannons at several forts, most notably Fort Fisher, which had sand-and-earthen walls that simply absorbed most bombardment. As the state’s largest city, Wilmington was well connected to rail lines. When the war began, President Lincoln ordered the Union Navy to blockade all Confederate ports, starting with just a few dozen ships. By 1864 there were hundreds of vessels, and the blockade tightened. To get past them, the South needed stealthy boats that could sneak past, outrun, or outmaneuver the larger, more powerful Union warships. Billy Ray Morris had noticed a change. For weeks, he and his crew had been running their boat up and down the coast near Wilmington, capturing fresh sonar images of 21 wrecks. They were using upgraded models of the equipment they had used a decade before, but now the pictures showed something different: There was less muck and sediment, and the vessels were sticking out of the ocean floor more prominently, due to either a shift in the shoreline or, more likely, a major storm. Whatever it was, the curtain had been pulled back. Morris, barrel-chested with a cropped, salt-and-pepper goatee, looks — and swears — like a sailor. He’d been diving on North Carolina shipwrecks for decades, ever since his uncle, a Navy diver, took him underwater as a kid. 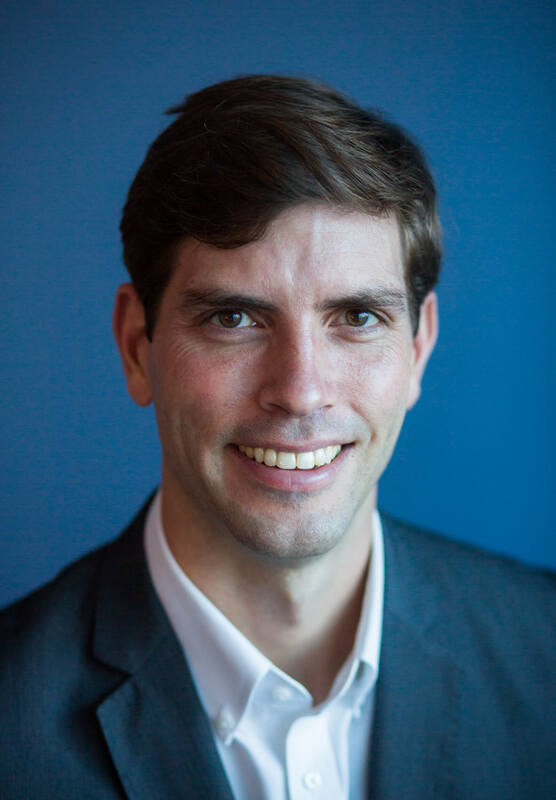 Morris took all his boyhood wonder and turned it into a career, becoming director of the state Underwater Archaeology Branch in 2010. 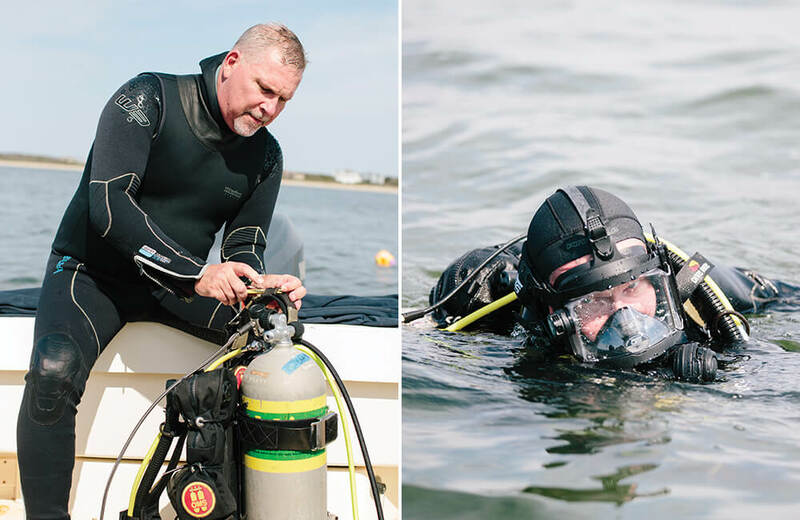 From a government office at Fort Fisher State Park, he and a small crew keep track of new research, and document an estimated 5,000 shipwrecks in North Carolina waters. Of them, fewer than 1,000 have been identified and located. Most shipwrecks in North Carolina are found by accident, usually when they’re in the way of something that someone wants to build or dredge. Actively hunting for missing shipwrecks is notoriously expensive and frustrating. It’s also tedious, much like cutting a football field with a push mower, Morris says. 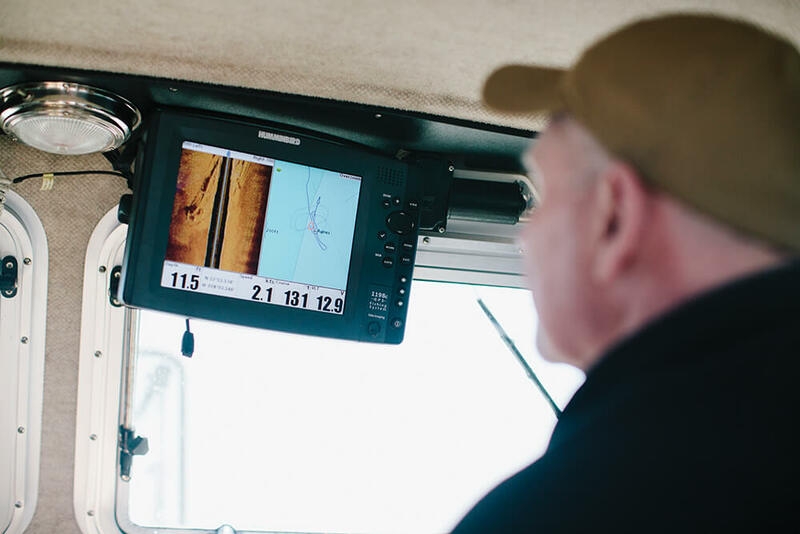 The best sonar can cost up to $4,500 a day and only scans in small swaths between 50 and 200 feet wide. Historical information can be inaccurate. Coastlines change. Measurements are inexact. Memories are cloudy. Or wrong. That’s why, when Morris landed a National Parks Service American Protection Program grant, he decided to get an updated look at some old Civil War shipwrecks, and began scanning familiar sites up and down the coast. One day in 2014, when he was out on the water with plenty of daylight and fuel to spare, he decided to take a gamble. He motored west, across the mouth of the Cape Fear River, to an area near Oak Island where nautical contractors had found what they thought was a blockade runner 10 years before. On the first scan, he saw nothing. On the second, he saw a brand-new shipwreck. His exact reaction was a series of joyous curse words — which he repeated over and over. “You can quote me on that,” he says. But he needed more information to know if this was indeed the wreck he thought it was. In the two years that followed, state archaeologists went back for a more complete scan to get the exact size and shape. They did some diving, felt around, pulled out coal samples and a few artifacts, and researched the three missing blockade runners in that area. By April 2016, Morris had confirmation: He’d found the Agnes E. Fry. But even then, one critical part of her story hadn’t been discovered. Yet. Neutral offshore islands, like Bermuda and the Bahamas, served as staging areas where European freighters and blockade runners swapped cargo. In 1864, half of the items being hauled from the islands to Wilmington were probably for the military. The rest consisted of luxuries or necessities that people couldn’t get because of the blockade: Pens. Iron skillets. Waxed cotton thread. Books. Parisian fashions. French wine. Scotch. Captains and crew members were permitted to bring an allowance of their own cargo on board. They brought a lot of alcohol. In Wilmington, it often sold for five times higher than the normal price, if not more. Hence, sailors on blockade runners were often the best, and best paid, in the world. A chief engineer like Harding could make the equivalent of five years’ salary on a single successful round-trip from Nassau to Wilmington. The crews were often English and Scottish — veterans of the Royal Navy who used their nationality to claim neutrality. At one point, Harding (most likely) adopted a British accent and pretended to be a fellow countryman, because every other sailor on board was British, too. Most blockade runners like the Fry were privately owned and never armed — if they had been, their crews could be considered pirates and would be hanged if caught. They were hardly ever caught. There were more than 600 runs in or out of Wilmington during the war. Blockade runners made it through nearly nine times out of 10. The Fry, though, had trouble at first. With Harding on board, the ship went to Nassau to fuel up with coal, then made its first attempt to get into Wilmington. But just off the North Carolina coast, the Fry got hung up on a sandbar. 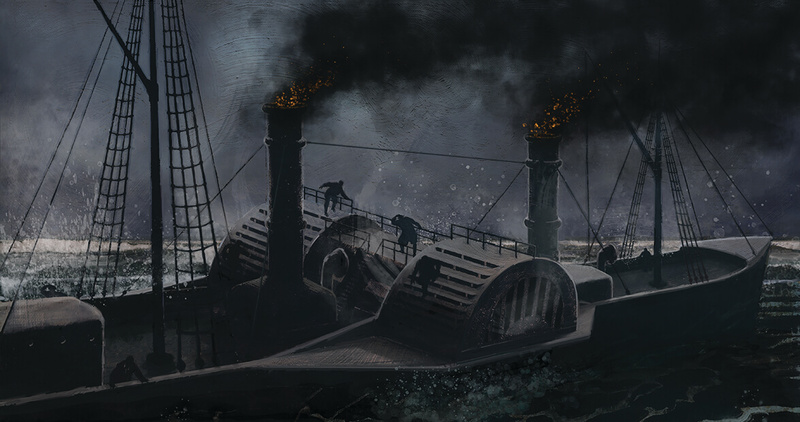 With maybe a dozen Union ships bearing down and opening fire, the steamer pulled off, then zigzagged away. Harding threw barrels of pork fat into the boilers to get extra steam, and the Fry sped south back to Nassau, 635 miles away. Over the next three months, the Fry tried and failed to get through the blockade as many as seven times. On one trip, yellow fever spread on board. From his berth, Harding saw dead sailors being sewn up in blankets and slid overboard from a gangplank. After a fumigation, the Fry left Bermuda again, on October 24, 1864, with 45 healthy sailors, and successfully made it to Wilmington five days later. The cargo of beef, bacon, sugar, stationery, and rope paid for the ship in full. The crew made the return trip to Nassau a few weeks later, and loaded up for another run into Wilmington. “Our next trip was … unfortunate,” Harding later wrote. It would also be the Fry’s last. Last March, 70-year-old Mary Timberlake Parker was at home in Jacksonville when she heard a story on the 6 o’clock news about the discovery of the Fry. “Finally, they found it,” she said. All this time, she’d been waiting for someone to take an interest. She’d stored away an important box, and now it was time to get it out. Inside the box was an old brown envelope, and inside that was a manuscript written by her great-grandfather. He’d once been asked to record as much as he knew about his family’s history. What he wrote in pencil on Seaboard railroad stationery wasn’t the summary he’d been asked for: This story was better. But he would never get a chance to explain himself. In 1897, at age 67, he died suddenly on a business trip, leaving the family history incomplete. His manuscript was tucked away. Only a few relatives had ever read it. When Parker got the box containing the envelope in the mid-1970s, she simply packed it away. It wasn’t until 2002 that Parker finally bothered to look inside, and found the story her great-grandfather had written. Thinking that state archaeologists might want to see it, she sent them a photocopy. They politely thanked her, and that was the last she heard from them. But the manuscript had captured her imagination, so she continued to research details and context, fleshing out the story. And now, a hint of it was on the nightly news. Someone will surely take an interest, she thought. Parker spent the following week retyping her great-grandfather’s manuscript, adding her footnotes and research, and then mailed it to Billy Ray Morris. By then, the Fry’s discovery was making headlines around the world. In Scotland, where it had been built, the local papers and the BBC reported on the wreck. Historians and researchers who’d read about the discovery pulled documents from archives in far-flung libraries and museums. Even so, Morris and his colleagues were missing a critical piece of the Fry’s story: What had happened on board during her final journey? Fry himself didn’t leave behind a journal. Inside he found the tale of Bernard Roux Harding, Parker’s great-grandfather. And Harding’s memoir included something that nobody had been able to find: a firsthand account of the final run of the Agnes E. Fry. On the night of December 23, 1864, the Union Navy tried to blow up Fort Fisher with an old warship that they’d loaded with 500,000 pounds of gunpowder. But the ship drifted away from the fort before it exploded, and did little more than signal the beginning of the First Battle of Fort Fisher. That attack involved 64 Union warships, including large frigates and small gunboats, “the most formidable armada ever assembled for concentration upon one given point,” Gen. Ulysses S. Grant wrote. 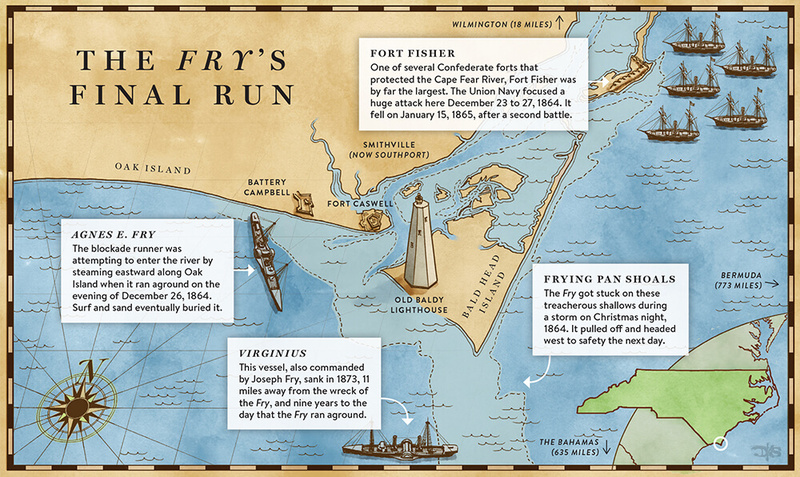 While the Union attacked from the east, the Fry tried to sneak into the safety of the Cape Fear River from the west. There were fewer Union ships blocking the Fry’s approach, but all of the small, Confederate-run lighthouses had gone dark. It was Christmas night, and there wasn’t a beam of moonlight in the stormy sky. The pilot couldn’t figure out where he was, and the Fry thumped around in shallow water before getting stuck on the sands of Frying Pan Shoals. When day broke, the rain was gone, the wind was whipping, and the sky was gray. Waves crashed over the stern of the ship. In the engine room, Harding worked in waist-deep water. But when the tide came up, the pilot finally pulled the ship off the shoals, and outran three Union warships. The Fry waited in a safe spot until late afternoon, then tried another run. It was racing east along a channel close to the beaches of Oak Island — a “very pretty run,” according to Harding’s account — when a crew member saw what he thought was a Union cruiser ahead. The boat, it turned out, was most likely the wreck of another blockade runner. Still, the pilot could have veered right and safely headed out to sea. Instead, he turned left. And that’s when, as night closed in on December 26, the Fry ran aground in 10 feet of water. Most of the crew quickly made their way to Smithville (now Southport), while Harding and a few others stayed nearby with the Fry. They still believed they could get the ship off the beach. But the wind and seas pushing in from the south shoved the Fry farther aground. The ongoing battle meant that there were no Confederate soldiers coming to help or unload. Eventually, Harding and the others gave up, found a small, leaky boat, and made their way to Smithville themselves. The town was in chaos. It was, by then, January 1865, and Fort Fisher had fallen after a second attack. Soon, Fry went to Mobile, Alabama, to command another Confederate gunboat (but not before having the Fry’s pilot arrested for extorting money from him). Harding went home to Norfolk, Virginia. “Thus ended my career of running the blockade,” he wrote on his Seaboard stationery. And thus ended nearly all blockade running into Wilmington. After Fort Fisher fell, Union warships moved into the mouth of the Cape Fear River, cutting off passage. Ports in Nassau and Bermuda, fat with cotton and money, emptied almost as quickly as they’d filled. The price of a new blockade runner dropped to a fifth of what it had been just months before. Bigger, slower, less nimble boats could haul more cargo at a lower price, and didn’t need to be refueled to cross the ocean. Soon after the war ended in May, the wrecked Fry was stripped of its copper. In the 1880s, a private company removed the engines. The ship was still in good shape, but nobody salvaged it. So for years it sat, conspicuously, just off the beach, slowly sinking in the soft sand. In 1910, the U.S. Army Corps of Engineers spent $100 to knock down what was left of it. Two tugboats dragged a wire to break it apart. By 1920, the wreck was still sometimes visible at low tide, and was marked, for the last time by name, on a chart at the Oak Island life-saving station. Then, it vanished completely, close to shore, hidden beneath the waves for nearly a century. Morris emerges from the water after 20 minutes of running his hands over pieces of iron plating, lead fixtures, and sea urchins. The visibility at the bottom is just three inches. “I wouldn’t see a fish if it bumped into me,” he says. When sediment leaves the Cape Fear River, it runs westward along Oak Island, right over the wreck site, making the water continuously murky. The Fry itself is covered in shrimp nets that can snag divers’ arms and legs, and Morris describes the waters as “really sharky.” Few, if any, divers have been here before. Hence, the portholes, often the first things plundered from wrecks, are still in place. Morris and his team have brought up a lead knife handle and a glass deck light. There are more artifacts down there. The Fry was, most likely, never unloaded, thanks to the battle raging at Fort Fisher. To find a ship like this, with its cargo still aboard, is exceedingly rare. Morris gets giddy just talking about it, spouting fact after fact in his thick good ol’ boy accent. The Fry is the first new blockade runner identified in North Carolina since the 1970s. Blockade runners were “the cigarette boats of their day,” he says. Nearly all were built in the same place as the Fry: on Scotland’s Clyde River. “The Scots were vehemently anti-slavery,” he says, “but they were really pro-money.” And — Morris loves this one — there’s another shipwreck near the Fry: the blockade runner Virginius. It was also commanded by Fry, during the Cuban insurrection eight years after the Civil War. In 1873, the Spanish captured it, executed Fry, and gave the ship back to the United States. While the Virginius was being towed back to New York City, it sank in a storm off of Cape Fear, 11 miles from the wreck of the Fry, nine years to the day that the first ship ran aground. It’s an amazing coincidence. Just like the Fry, it was there all along, waiting to be discovered.